UPDATE from Dec 17: The Humboldt County Coroner has identified the human remains located in a gravesite off of Jewitt Ranch Road, Harris area of Humboldt County as that of missing person Garret Rodriguez, 29 years old from San Diego, California. 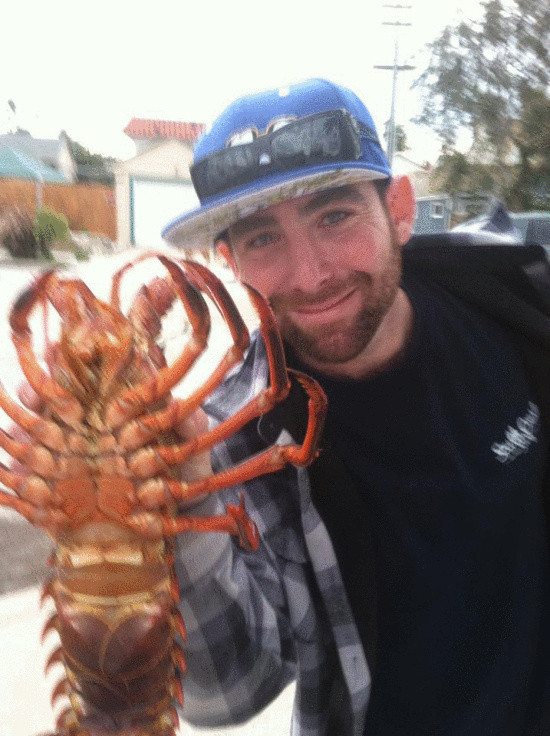 Editor: Last July we published an article about an Ocean Beach man – Garrett Rodriquez – and that he had been missing for 6 months. Now it’s been a year – and the following article from the Lost Coast Outpost in Humboldt County sheds some light on a probably tragic ending to his life. Revelations in the case of missing person Garret Rodriguez and the recently discovered body in Southern Humboldt continue to emerge. More information was revealed today by Chris Cook, of Cook & Associates Private Investigations. Cook sent a statement yesterday to the Lost Coast Outpost. In it she stated that as early as 2 A.M. on the day after Thanksgiving private investigators with her office received calls from anonymous sources telling her that an individual had confessed to the murder of Garret Rodriguez and led a group to the grave site. On 11/29/2013 beginning at approximately 2AM, Investigators at Cook & Associates Private Investigations began receiving calls from sources who wish to remain anonymous. The sources informed us that a person of interest in the Garret Rodriguez case had confessed to the murder of Garret, and led a group of people to the location of Garret’s body. The person of interest was known by Cook & Associates to own property in the Rancho Sequoia area. The sources advised Cook & Associates that many of the residents of Alderpoint felt they knew that the person of interest had killed Rodriguez, and did not want the man living in their area because of it. Sources said they wanted the Rodriguez family to know what had happened to Garret. The sources also advised that the body was discovered in the same location the person of interest indicated the body would be, off of Jewitt Ranch Road. This general location had been reported to Cook & Associates by other confidential sources as early as June 2013. This information was then forwarded to the sheriff’s office. It was not until 11/30/2013 that the sheriff’s office received a more specific location to search that the body was discovered. The physical size of the property in question made it difficult to search the area without specific directions from someone who knew the spot. Cook & Associates contacted the Humboldt County Sheriff’s Office on 11/29/2013 to relay the information in regard to the location of the body. The body was located by the sheriff’s department off of Jewitt Ranch Road on 12/1/2013. At this time, Cook & Associates can neither confirm nor deny whether the body recovered is Garret Rodriguez, pending further investigation and autopsy. The autopsy is scheduled for this weekend. Cook & Associates had been retained by the family of Garret Rodriguez since May of 2013. Our goal from the beginning has been to provide answers to the family as to the events surrounding Garret’s disappearance. Anyone with information relating to these events can contact Chris Cook at Cook & Associates Private Investigations at (707) 839-7422, or by e-mail at pichriscook@msn.com. looks like it has been edited now….. (s)he was talking about aliens and Bigfoot. That rambling Bigfoot comment looked like spam. I never knew him either, but immediately recognized him from the picture. So horribly sad and senseless. I normally don’t approve of violence, but in this case, it appears as though that’s the ONLY way to get someone’s point across. Thank you “AP 8,” (I would’ve shot him in both knees). The comments are crazy fascinating. I feel terrible for the family and friends of this guy, especially the mother. Wonder how much impact that had in helping to mobilize this alleged posse? A neighboring property up there was also apparently owned by a dude from OB. I’d guess they were setting up some sort of delivery system for the dispensaries and related businesses that popped up in OB a few years back. Total speculation on my part, but still interesting. I was on the OBPB at the time when we were asked to vote on recommendations for the medicinal marijuana dispensaries, and while a proponent of pot for medical purposes, I was never that comfortable with inviting the crime that is associated with this whole industry into OB in such a prominent way. Obviously plenty of pot here already, but it’s a different thing when you have storefronts on Newport getting jacked by gunman for their money and supply. In my humble opinion, the crime associated with this PLANT is just another argument in favor of legalizing it completely. It’s a 14 BILLION DOLLAR “illegal,” untaxed, industry in our state. People are getting murdered and ripped-off, our waterways in Northern CA are being polluted, land illegally and immorally stripped of precious flora and fauna, (the feds are scared sh!tless of the cartels, to even do anything about it-FACT). WHY? Because some people might want to smoke something to feel better emotionally and physically, which grew naturally out of the ground, that wasn’t distilled, fermented, created in a lab…? I just don’t get it. Okay, okay, editordude was a little slow on the uptake … sorry lads and lasses. I’m hoping to do a story on this today and would love to speak with anyone who knows Garret. Anybody know where I could go to find some folks who may have known him?